What are the “complexes of knowledge, skills, and attitudes that enable successful task performance and problem solving with respect to real-world sustainability problems, challenges, and opportunities”? Semantics aside — I’m among those that would (in a future post) noodle further on the word competence — the authors, from a review of 43 relevant documents, develop an intriguing list: systems-thinking competence, anticipatory competence, normative competence, strategic competence, and interpersonal competence. Systems-thinking competence is the ability to collectively analyze complex systems across different domains (society, environment, economy, etc.) and across different scales (local to global), thereby considering cascading effects, inertia, feedback loops and other systemic features related to sustainability issues and sustainability problem-solving frameworks. 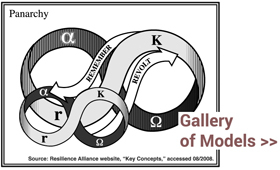 Anticipatory competence is the ability to collectively analyze, evaluate, and craft rich ‘‘pictures’’ of the future related to sustainability issues and sustainability problem-solving frameworks. Normative competence is the ability to collectively map, specify, apply, reconcile, and negotiate sustainability values, principles, goals, and targets. Strategic competence is the ability to collectively design and implement interventions, transitions, and transformative governance strategies toward sustainability. Interpersonal competence is the ability to motivate, enable, and facilitate collaborative and participatory sustainability research and problem solving.